I'm using Midori 0.4.6 (with GTK+3), Gala 0.1 (rev 95), and Ubuntu 12.04. When I maximize a Midori window, the titlebar is lost, leaving just the toolbar, the tabbar (although I've disabled it) and the content. However, this only happens with Midori and no other maximized window, and only under Gala and not under Compiz. Gala should ignore this request until such a time that it either provides an unmaximize method or (preferably) detects a Shell that provides an unmaximize method. This also happens just with the GTK+3 version of Midori. The GTK+2 version has the titlebar as expected. support the request, the setting will not have any effect. In window manager terms, it sets _GTK_HIDE_TITLEBAR_WHEN_MAXIMIZED. So this is a bug in the window manager, or the way the its setup in the desktop environment. Not Midori. Happens with Google Chrome as well, same cause? But with Chromium it doesn't happen. At least not in my machine. > Happens with Google Chrome as well, same cause? > the toolbar, the tabbar (although I've disabled it) and the content. > and only under Gala and not under Compiz. > provides an unmaximize method. 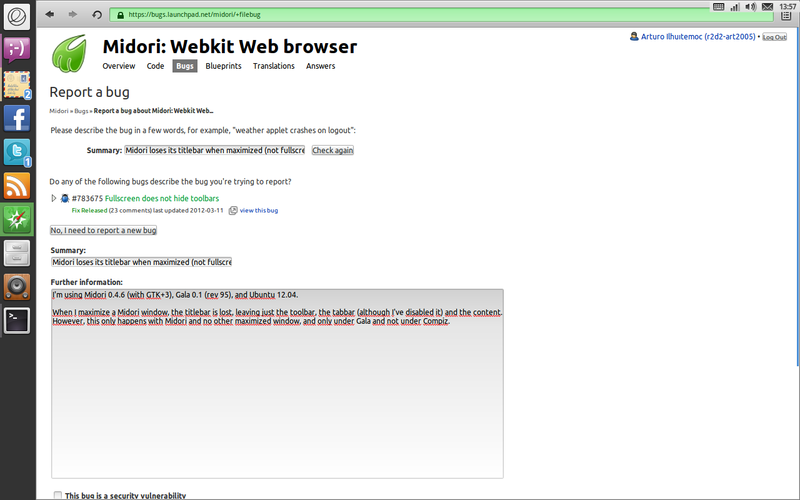 I'm using dev channel Chrome (21) though, also checked with latest Chromium and it's indeed hidden. 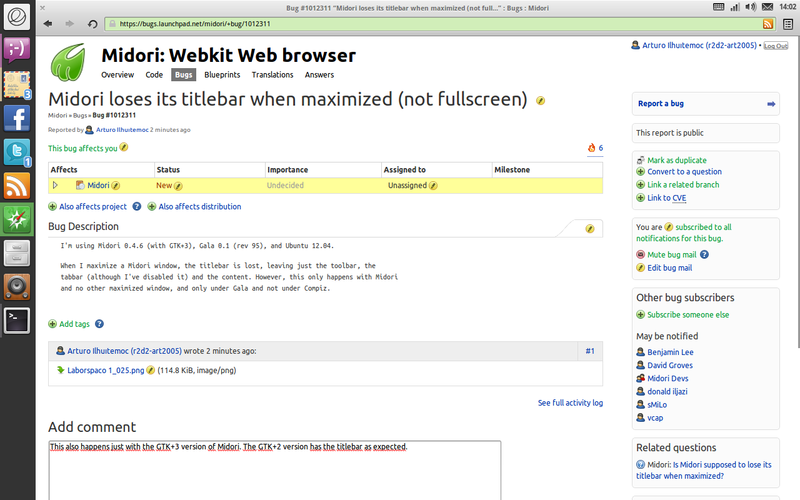 Midori Web Browser: Is Midori supposed to lose its titlebar when maximized?